The brainstem controls primal instincts and senses danger before the prefrontal cortex can tell you what that danger is. When this happens, your body releases a stress hormone that prepares you to confront whatever danger is approaching. 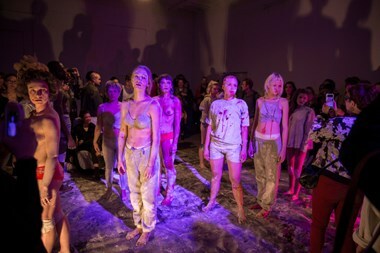 My performances being aggressive, channel changing dance narratives, explore and play with the semiotics of culture as I work with the choreography of danger, consumption and control. Primarily working in collaboration with Sigrid Lauren under the name Fluct, my work is about how we process this information together. Shopping, technological anxiety,familial structures, and pop media are the systems of control that infiltrate our social climate without consent and create the culture we absorb. 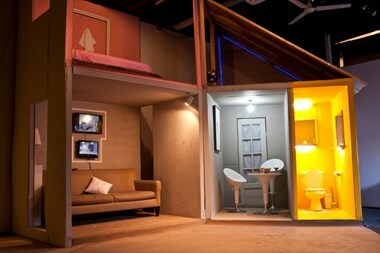 Often with a psyche-political punch line, these performances and installations dive deeply into the unseen and insidious transmissions that go on everyday. 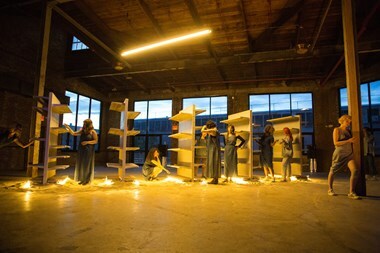 Authority Figure, my most ambitious work to date, took place throughout the entirety of the Knockdown Center, a 50,000 square foot space in Queens. 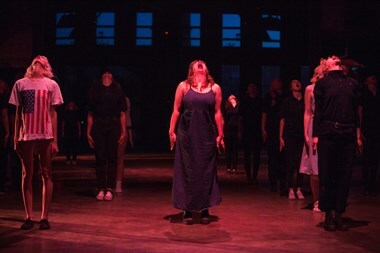 Conceptually rooted in the daily struggles we face with authority and obedience, the piece gave the audience the impression that they were the minority relative to the 150 performers. 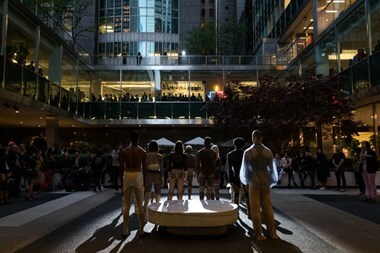 As the audience walked through a series of choreographed vignettes simulating abstract semiotic interactions, it became clear that we are all performing power. In encouraging the processing of information through the analysis and composition of movement, I codify unconscious actions and behaviors and then show them back to both audience and performer. 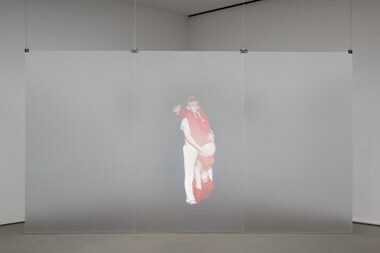 In “Alienated Labor,” a hologram video installation about motherhood, the observer can see Fluct physically narrating a scene depending on where you choose to stand in the room. In “A Ghost Story,” an ongoing psychological thriller about my upbringing, the audience walks through the performance, sometimes appearing to become the family as they react to each other in domestic space. Through engaging in social spheres of large scale immersive movement, we are able to deeply understand its power and this becomes the physical language to subvert authority, control, power, and the obedience that embodies our daily lives.